Sweet Alphabet Printables to Keep the Kids Busy! This Alphabet Matching Printable puzzle busy bag is a part of the busy bag blog much like the one we did a while (last month we did Spring busy bags be sure to check it out) . This time it’s all about kindergarten readiness! Learning the alphabet, shapes, telling time and even taking on a few sight words! Something for everyone! 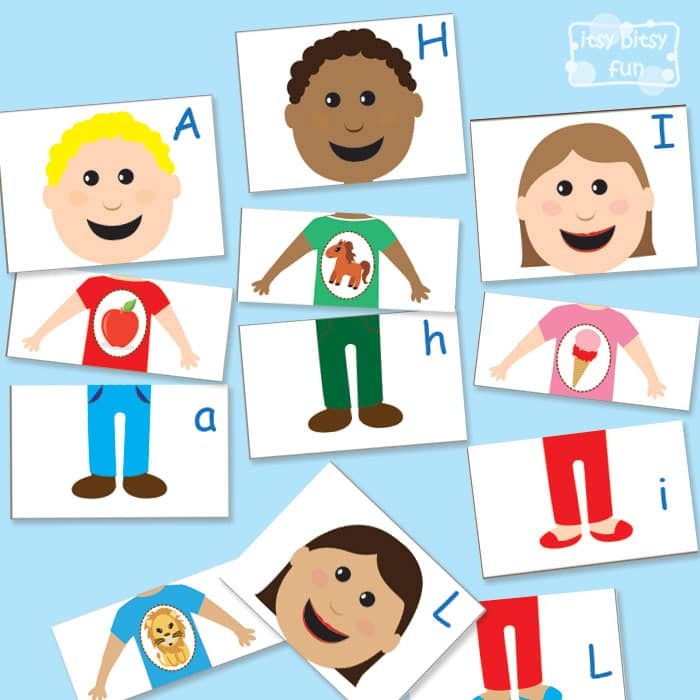 I’ve made fun mix and match alphabet puzzles with boy and girl characters so kids can either put the characters as they “should” be or mix and match them to create their own creations. All the letters of the alphabet are covered in this pack – we have a upper case letter in the head part of the puzzle, lower case letter on the leg part and an object starting with that said letter on the t-shirt. Even if kids don’t recognize all the object or at first use a different word for the object like x-ray could be labelled under B for bones or s for skeleton, or rabbit under b as bunny – they will find their right place when they’ll be finishing up other letters. You could also just let them have fun with the t-shirts and focus only on matching lover and upper case letters. I strongly recommend you laminate the pieces to make them more durable (or at least print them on a thicker paper). 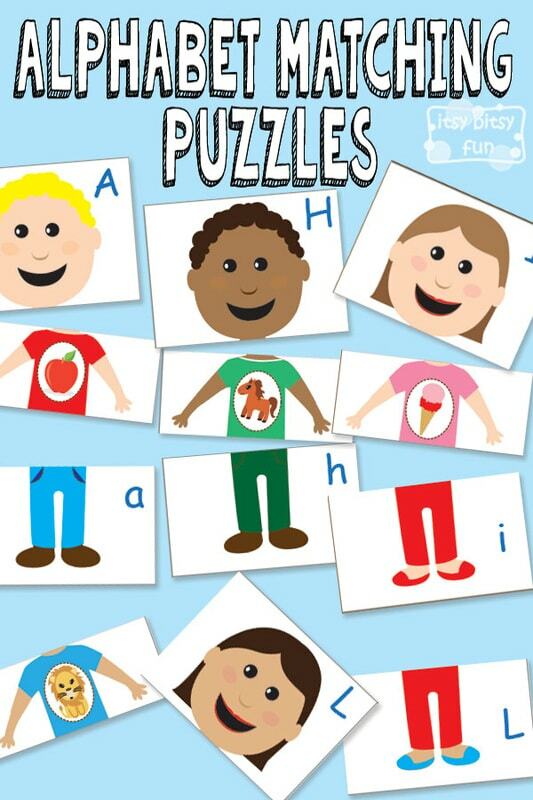 Have lots of fun with mix and matching these puzzles! 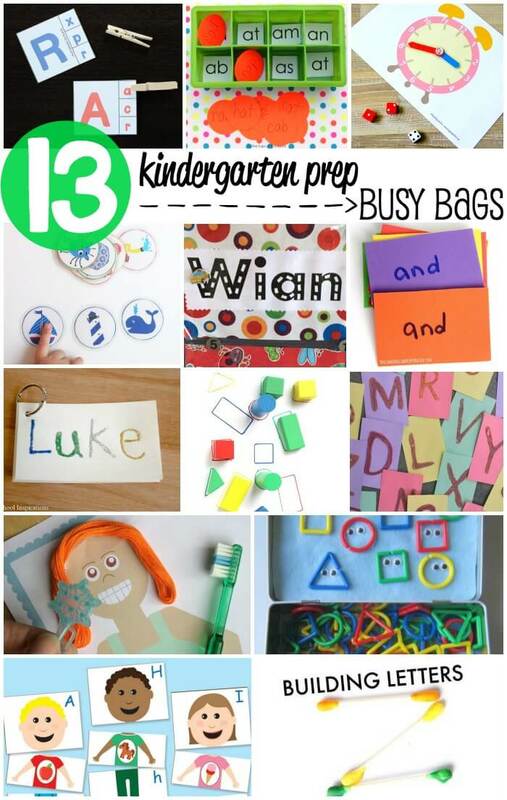 Get your free printable Busy Bag Alphabet Matching Puzzles here.